Today I’m tackling a topic that is so near and dear to my heart. One that I see so many Moms struggle with and one that is a rising issue within our technology driven society. Mommas, hear my heart- technology is SUCH a blessing. It allows for the sharing of knowledge, connection, awareness, giving, education, support and SO MUCH MORE! With technology readily available at our fingertips, we must be disciplined to use it in a healthy and balanced manner. If not… technology can negatively impact our relationships, self-worth, mental health (anxiety/depression), thought process, time management, and boundaries. Mommas, I want you to use technology and ENJOY it but I want you to also not let it RUN your life. 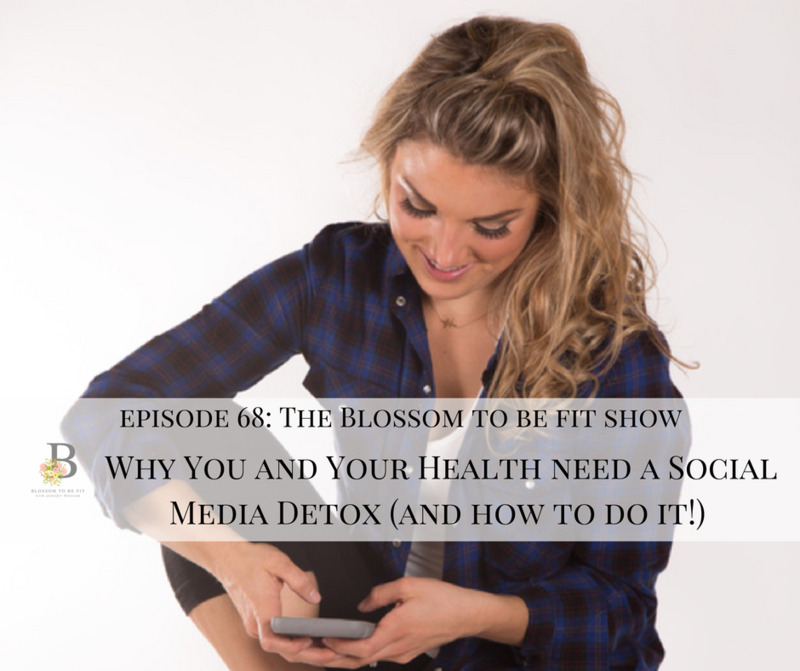 Below you’ll find a few of my top tips and personal strategies for ROCKING a social media detox. It’s a gorgeous step by step plan that’s easy-peasy and ready for you to tackle! LISTEN IN TO TODAY’S AUDIO BLOG VIA THE BLOSSOMING MOMMY AND BABY SHOW HERE! HAVE A DETOX DAY ONCE A WEEK! The online world will still be there, PROMISE! I want you to take one day a week (and extra days on vacation!) to completely unplug from social media. Delete the apps from your phone and sign off on your desktop. Turn off notifications, email, and calls. Spend this day completely engaged with your family, children, in nature, with friends, with a good book, at church… whatever day you decide, detox away Momma!